PTI boss Imran Khan on Monday promised to build Pakistan a welfare state model proclaimed his party’s manifesto of General Election 2018. At a ceremony held in the federal capital, Imran Khan, while bringing manifesto of the party to the forefront, mentioned that socially equitable justice system and guidelines are the premises of progression of a country. Addressing the current issues, he expressed that the national budget deficit had altogether increased in the previous ten years. Additionally, that country lacked having sufficient revenue-collection systems. Besides, the PTI chief observed that institutions were being weakened purposely. He at that point declared that PTI intends to make 10 million employment opportunities in the country. 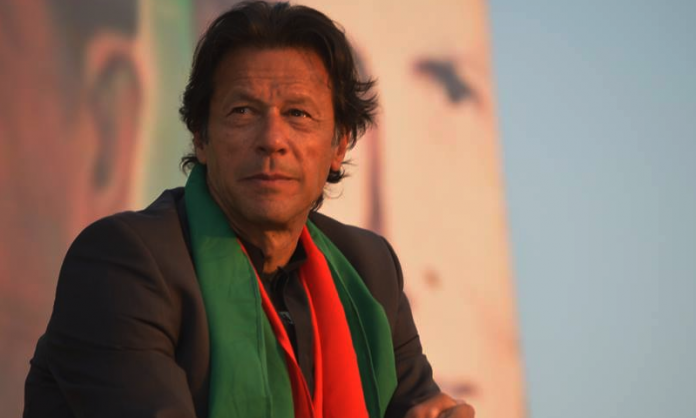 Khan additionally stated that PTI, if elected, will introduce housing projects of mass scale. “New constructors/companies will be furnished with an opportunity to make housing facilities, and the government will encourage and facilitate emerging players of the private sector in this regard, ” he added. Furthermore, Imran said that his party will capitalize and work on the China-Pakistan Economic Corridor (CPEC) potentials. “CPEC isn’t the game changer yet it can greatly benefit Pakistan. On the chance have we chosen by the people, we will maximize its potential for the benefit of Pakistan,” said PTI chief, Imran Khan. Pakistan Elections 2018, is on 25th of this month.